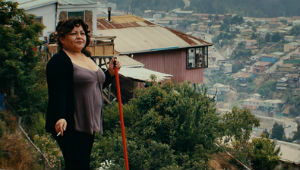 Ciudades Reveladas is an International Film and City Festival born in 2013 in Buenos Aires, Argentina with a second edition in 2015. At this time, through the Roaming Program 2016, Ciudades Reveladas arrives to Leeds, UK. Our aim is to create an exhibition space, to reflect and exchange ideas about the different ways of experiencing urban spaces. We believe that looking to the architecture, the many cultural expressions, conflicts and tensions linked to the prevailing urban models at different latitudes, can be a means to contribute to the discussion aboutwhat cities we want to build. Contested_Cities is an action, research and exchange international network. It brings together European and Latin American universities teams to discuss the consequences of urban neoliberalization and social movements of resistance originated in different geographical contexts. Ciudades Reveladas & Contested_Cities share the aim of creating aspace of reflection on the different ways to experience urban space. 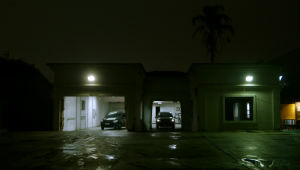 And we have the conviction that to think on the city from a cinematic representation can imagine its transformation. We want to invite viewers to a relaxed environment in Wharf Chambers (Cooperative Club) where everyone will have the opportunity to discussissues happening in our cities. In 1999, the characters of this documentary were kids and were living in the Buenos Aires streets. How would be their futures? 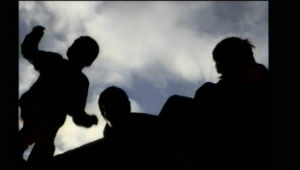 Filmed during twelve years, the film explores three moments of the kids’ lives, who spent their days like a game then became teenagers and then grown-ups. Everyday and intimate scenes assemble marginality meaning, search of inclusion and the look of the watching ones, like in a collage. Street years travels along the in-between spaces within four life stories and the one who is watching from the other side of the camera. Direction: Alejandra Grinschpun / Investigation & Production: Laureano Gutiérrez / Cinematography: Melina Terribili / Editing: Valeria Racciopi / Sound: Luciano Fusetti Sonomondo / Music: Me darás mil hijos. Which is the limit of the personal space? Where does everyone else’s space begin? Can two strangers have intimacy without wanting to? Proxemia reveals thoughts about the interpersonal distance in public spaces. Emerged in the favelas of Rio de Janeiro, the passinho, exploded in 2008 and since then has changed the face of the periphery of Rio de Janeiro. 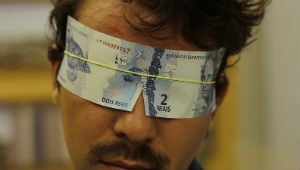 A new form of dance funk, the Passinho is the most important carioca cultural manifestation in the last 10 years. 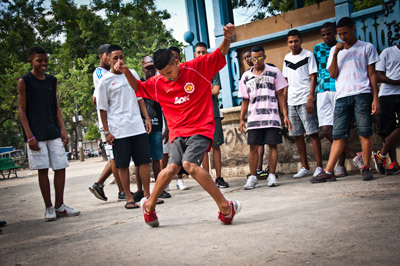 The documentary “Passinho Dance Off – The Movie” directed by Emilio Domingo, accompanying this phenomenon and shows the evolution of the movement within this culture. Rio de Janeiro, April 5, 2014. 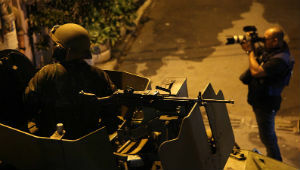 The Brazilian army occupies the Favela da Maré, located north of Rio de Janeiro. The movie takes place in these streets on the night of the military incursion. In the city margins, two similar lots are placed in a dialogue. They were both locations for entertainment built by different dictatorships: the Sport City of La Boca, built during Onganía’s facto government , and the Interama amusement park, inaugurated at the end of the last dictatorship. Today, in the surroundings of those two spaces, settlements and shanty towns are developing, inhabitated by thousands of families, many of them migrants living in extreme poverty. Parking. Park-ing. From the verb "to park". From the old french parc. Legal term for the land held by royal grant for keeping game animals. Direction: Alexandre Wahrhaftig, Helena Ungaretti & Miguel Ramos / Script: Miguel Ramos / Cinematography: Alexandre Wahrhaftig / Camera: Alexandre Wahrhaftig / Editing: Lia Kulakauskas / Sound: Fernando Henna & Sérgio Abdalla / Production: Mira Filmes. Nothing is more latent in the present urban world than the rapid growth of cities with concrete and steel enterprises climbing to heaven. Live music is what the protagonist wants, but fate has prepared another occupation: real estate broker. Narrative that devotes itself to the knockout, without fear of ridicule, this is a film about the dream (or nightmare) of being someone. Iselsa and Cathy decided to take part in a project designed by leaders in social architecture, the project will provide them, and will integrate them into a middle class neighborhood. The camera observed over 7 years: the scarce resources, a neighborhood that rejects them, problems in the construction, and the disasters bring by the rains. The hardest thing will be to overcome the divisions in the community with the construction process.